Located in the prime shopping and business district, hotel Citizen is at a walking distance from central bus stand and the railway station. 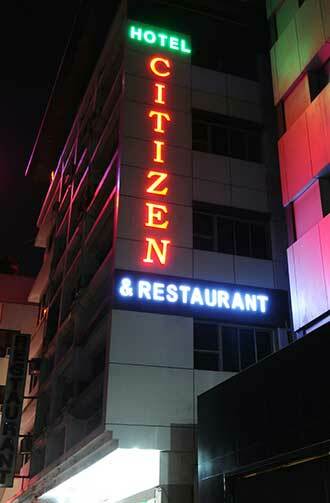 An in-house restaurant, "Citizen Restaurant" is fully air-conditioned and serves Continental, Chinese, Moghlai and Punjabi dinner and lunch to the guests. The hotel also has a banquet hall for meetings, get-togethers, birthday and kitty parties.